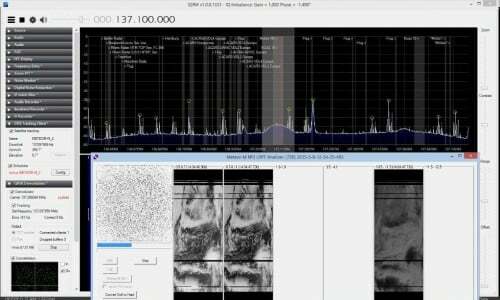 Back in March we posted about The Thought Emporium’s YouTube video that explained weather satellites and demonstrated that images could be downloaded from them using an SDR like a HackRF or RTL-SDR. Now The Thought Emporium have uploaded part two of the video series, which is a tutorial that shows exactly how to use the free software to receive, demodulate and decode NOAA and Meteor satellites. The first part of the video shows how to use SDR#, Audacity and WXtoIMG to receive NOAA APT weather images. The second part of the video shows how to use SDR#, Audacity, LRPTrx, LRPTofflinedecoder, SmoothMeteor and LRPT processor to receive Meteor M2 LRPT images. Over on Reddit user merg_flerg has uploaded an imgur post that carefully details a step by step guide for building a double cross antenna. A double cross antenna is great for reception of satellites like NOAA and Meteor since it has a sky oriented radiation pattern with very few nulls. This means that it can receive satellite signals coming from the sky well. Alternative antennas for NOAA/Meteor include turnstiles and QFH antennas, although the double cross antenna seems to have the least nulls, meaning that the signal is less likely to fade in and out as the satellite moves across the sky. merg_flerg’s design is also modified from the standard design slightly, allowing it to become easily disassembled and carried within a backpack. At the end of his tutorial he writes that he gets much better reception with his double cross antenna than he does with his QFH. 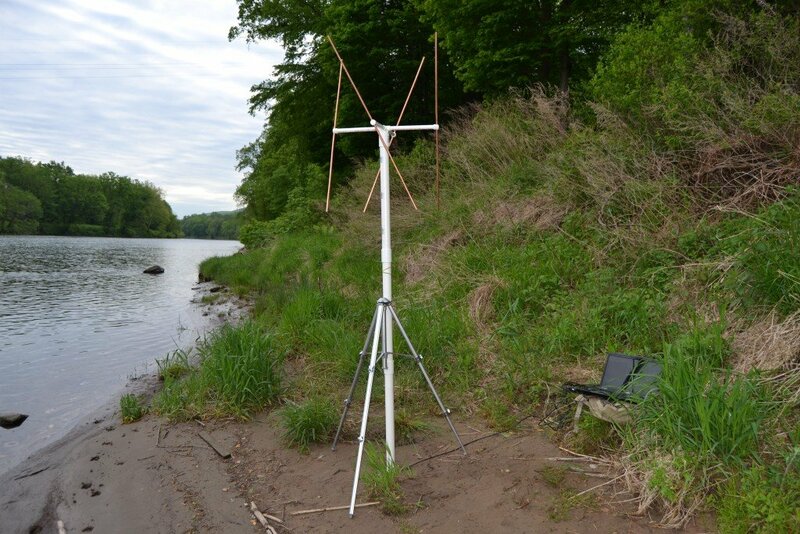 In the post he demonstrates the final constructed antenna decoding a NOAA APT weather satellite image with an RTL-SDR and the WXtoIMG software. See our tutorial for information on decoding NOAA weather satellite images. The finished double cross antenna connected to a PC running an RTL-SDR and WXtoIMG. According to various reports the Russian Meteor M-N2 satellite appears to be active again once more. The Meteor M N-2 is a polar orbiting Russian weather satellite that was launched in July 2014. 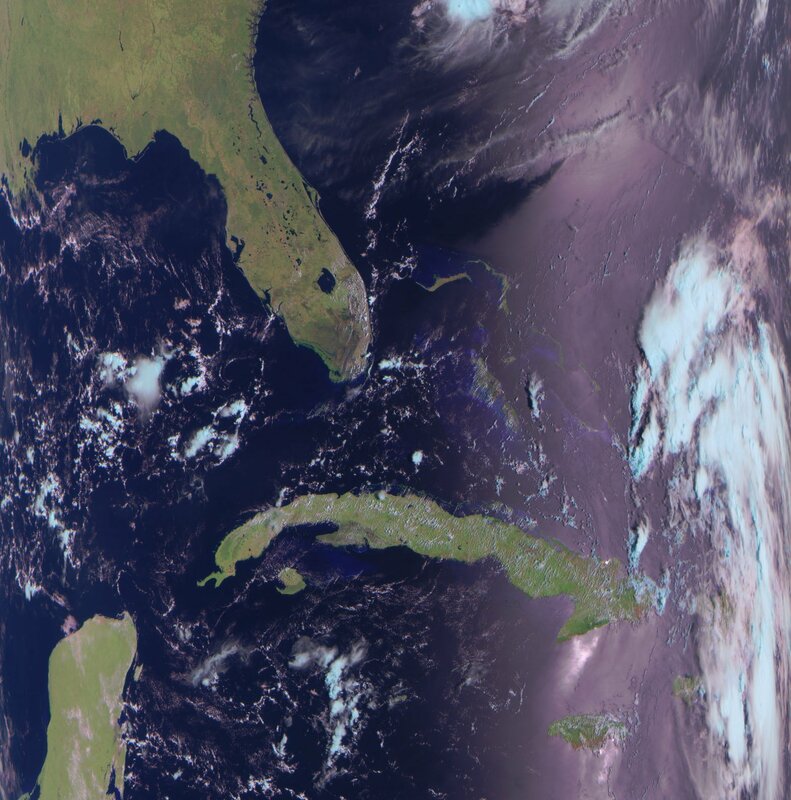 It transmits with the LRPT protocol which allows us to receive weather satellite images with an RTL-SDR that are of a much higher resolution than the NOAA APT satellites. Unfortunately late last year Meteor M N-2 had some problems and LRPT transmissions were turned off for the time being. During this downtime the Russian space agency switched the LRPT transmitter on the older Meteor M N-1 satellite back on, even though the satellite was tumbling in orbit. Currently people are not reporting any signal from Meteor M N-1, so this may have been turned off, perhaps temporarily. Now however, it seems that Meteor M N-2 has been switched back on again and various people have already successfully received its signal. 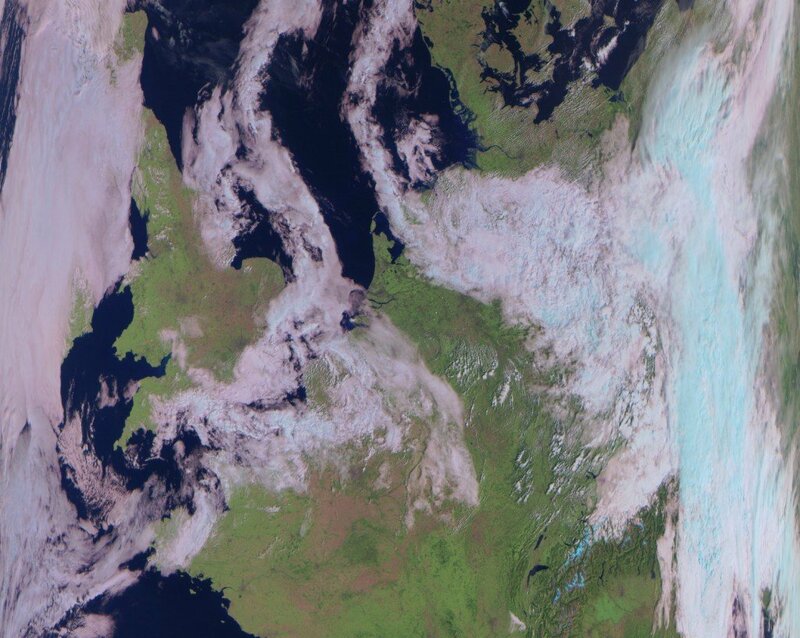 If you want to receive these Meteor M N-2 weather images with an RTL-SDR dongle or other SDR then you can view the tutorial written by Happysat here. The Meteor M N-2 is a polar orbiting Russian weather satellite that was launched in July 2014. It transmits with the LRPT protocol which allows us to receive weather satellite images that are of a much higher resolution than the NOAA APT satellites. 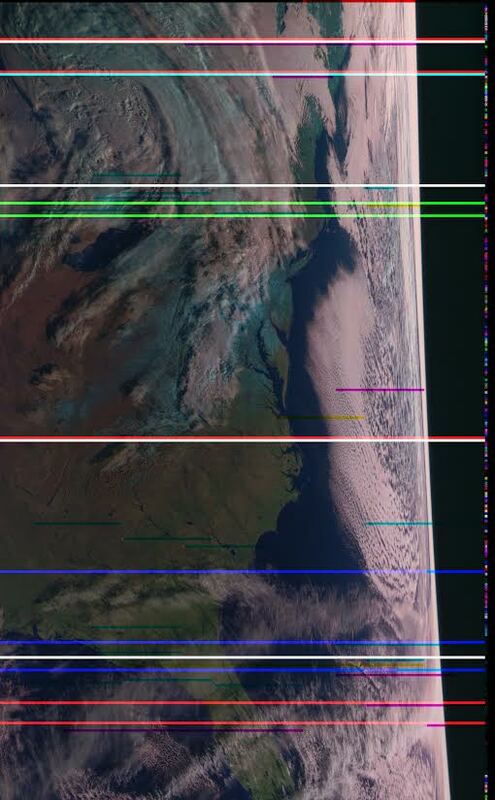 For a while since the launch RTL-SDR users had a good time receiving beautiful images from Meteor M-N2, but unfortunately since late last year the N2 LRPT transmitter has been turned off, due to technical problems with the IR sensors as cited by Russian meteorologists. As has been previously mentioned, Meteor MN-1’s stabilization system has obviously failed, and the horizon is clearly visible. Perhaps not of scientific value, but certainly beautiful. We also note that there are several comments over on the Meteor-M N2 news and support website regarding receiving images from N1 and N2. It seems that sometimes N1 also has some problems with transmission, but they are usually quickly fixed. 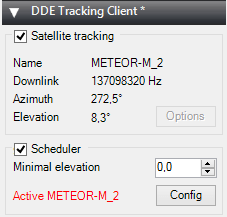 Yesterday we posted about a tutorial showing how to decode Meteor-M2 LRPT weather satellite images in real time with a new QPSK decoder plugin for SDR# and a modified version of Lrptdecoder. Over on YouTube user max30max31 (a.k.a IZ5RZR) has uploaded a video showing some of the steps in the tutorial as well as the real time result of decoding of the weather satellite image.